Todays rain is a much-needed break from many people. Between the devastating wildfire conditions and the extraordinary dry summer, BC has experienced some of the harshest water restrictions we’ve seen in over a decade. Yet we live in a rainforest – surely we should be able to capture enough rainwater through the year to hold us over when it’s dry. Our 3 local reservoirs, Capilano, Seymour and Coquitlam are reported to be at 66% of their normal levels and so the challenge seems to be capacity, with a rapidly growing Metro Vancouver population and our thirst for nature’s resource we need to find solutions. Rain barrels are becoming a more common inclusion in our projects. We’re designing homes with rainwater collection in mind, and recently we are proud to have designed and installed the first residential rainwater cistern in the City of Burnaby, and we are really excited about it. The homeowners came to us with an interest for alternative energy and water management solutions, and together we planned the undertaking of a rainwater capture system into an underground cistern. They are now able to use rainwater to irrigate their yard, wash the car, and even flush their toilets. 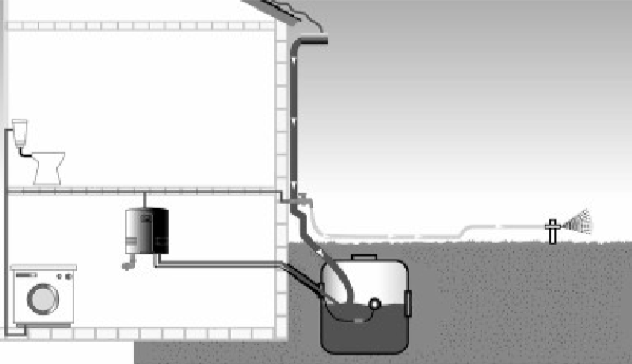 Rainwater is collected from the roof, travels through a 3-stage gutter filtration system; gutter grates, V-shape funnel system & downspout catch basin. From here it travels along underground channels towards the cistern on a downward slope. As the water enters the system it goes through an internal filter, designed for optimum cleaning performance with maximum water yield and into the 1700 gallon tank; which is completely buried except for a lockable manhole. There are different sizes of tanks to choose from depending on your needs. In the house’s mechanical room the central control unit cleverly provides a switch between the harvested rainwater or city supply therefore never leaving the household without the water it needs. The city water and rainwater are strictly isolated from each other at all times, even in the event of a mechanical failure the two sources can’t meet; so there is no chance of cross contamination. This is a mandatory requirement stipulated by the City. 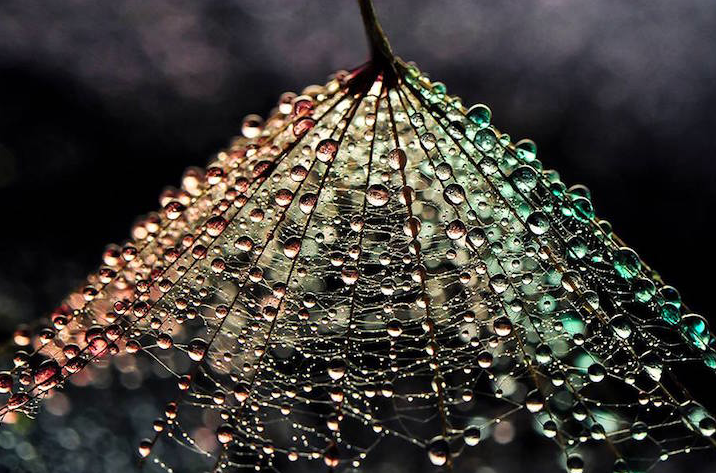 Photographer Ivelina Blagoeva is able to see the artistic potential that’s hidden within ordinary water droplets. If you were going to talk to 3/4 of the world and tell them you fill your toilets with drinking water, they would think you were crazy. Living in a rainforest brings us a bounty of high quality water throughout much of the year – it only makes sense to capture it and be smart with this resource. Using a rainwater cistern rather than fresh water for secondary needs contributes to ensuring we have enough water for the projected growth of the region and for our future generations. From a short-term financial perspective, a cistern like the one we installed in Burnaby would cost approximately 20-25k depending on your needs. It can be a considerable investment for some households, but it’s also worth considering that more and more municipalities are making the move to consumption-based water billing. Even under Stage Four water restrictions, the use of rainwater is unrestricted and so allows you to continue watering and maintaining your garden…….there are no #grassholes at our Burnaby Residence! Interested in whether or not a Cistern makes sense for you? Thinking of designing & building your home?